High demand of lightweight material makes magnesium alloys and composites more suitable to aerospace and automotive industries. However, poor corrosion resistance and fatigue resistance make its applications limited. Due to inherent capability of machining processes, the surface characteristics of the component can be improved. Many articles reported improvement in machinability of different difficult-to-machine materials while using ultrasonic-assisted turning (UAT) process and cryogenic-assisted turning individually. 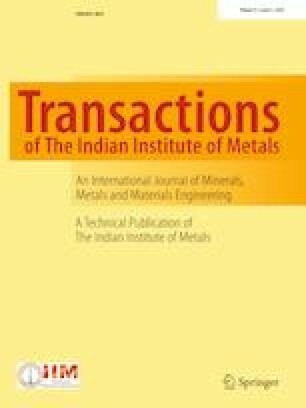 In this paper, the newly developed cryogenic–ultrasonic-assisted turning (CUAT) technique is used for the machining of in-house developed magnesium AZ91/SiC particulate metal matrix composite (PMMC). In this study, surface roughness and chip breakability index are measured under different machining methods, i.e. conventional turning (CT), UAT and CUAT. The full factorial method is used to design the experiments. A regression model of surface roughness is developed for CT and UAT processes and optimized using Jaya algorithm. Our results provide evidence of improvement in surface finish for UAT of magnesium AZ91/SiC PMMC in comparison with CT. An improvement up to 36.50% and 15% has been observed in surface roughness and chip breakability index, respectively, with CUAT process as compared to UAT process at optimized cutting parameters of the UAT process. The authors would like to thank the SERB-DST, Government of India, for the financial support given under the Project (ECR/2016/000735), titled “Design and Development of Energy Efficient Cryogenic Machining Facility for Heat Resistant Alloys and Carbon Fiber Composites”.